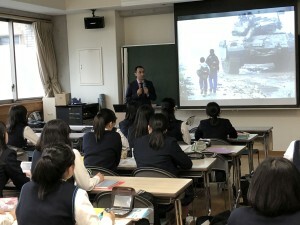 Today 高１＆２GI students had a special opportunity to listen to Motaz Sabri, a graduate student at Hiroshima University. He has lived in Hiroshima for five years. 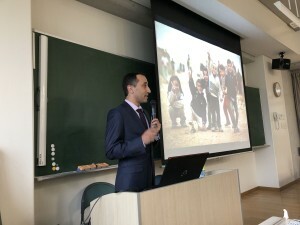 He came to Jogakuin today to talk about what life is like for people in Palestine.